Book Horde: Amazon Prime Day! Amazon's annual Prime Day starts this Monday! So you might really want to get a FREE Prime 30-day trial membership now so you can get in on all the deals! 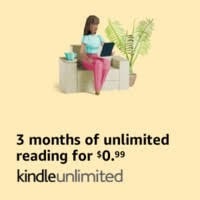 After you get your free Prime trial membership, get in on this amazing Kindle Unlimited deal - if you are not yet a KU member, you can get 3 months of Kindle Unlimited for only 99c! Thinking of home delivery for groceries? Get $10 off your order of $40 or more with a free trial of Prime Pantry if you get your order in before Prime Day ends on July 17. Remember, it all starts with a FREE Prime 30-day trial membership!